Quick overview A portrayal of country life at the close of the 19th century. It tells the story of three closely related Oxfordshire communities - a hamlet, the nearby village and a small market town - is based on the author's experiences during childhood and youth. 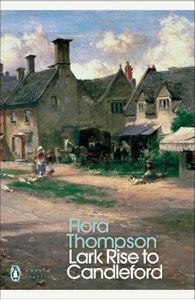 Flora Thompson's immortal trilogy, containing "Lark Rise", "Over To Candleford" and "Candleford Green", is a heartwarming portrayal of country life at the close of the 19th century. This story of three closely related Oxfordshire communities - a hamlet, the nearby village and a small market town - is based on the author's experiences during childhood and youth. It chronicles May Day celebrations and forgotten children's games, the daily lives of farmworkers and craftsmen, friends and relations - all painted with a gaiety and freshness of observation that make this trilogy an evocative and sensitive memorial to Victorian rural England. It comes with a new introduction by Richard Mabey.